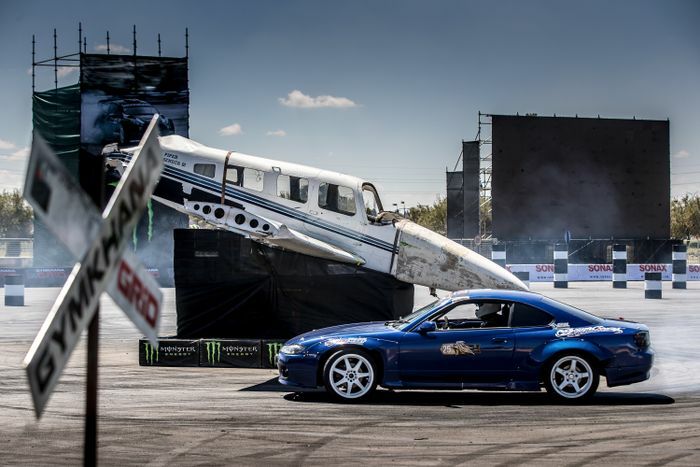 Gymkhana Grid, the craziest driving contest this side of video games, has confirmed that it’s coming back with a faster, more technical track for 2018. 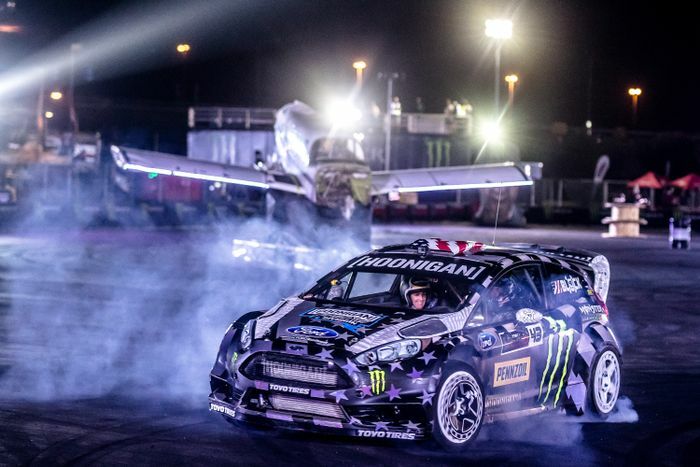 The challenge sees top driving talent from across the worlds of rallycross, the world rally championship and professional drifting compete against each other on a weird and super-technical course for the right to race against Ken Block and his appointed team mate. 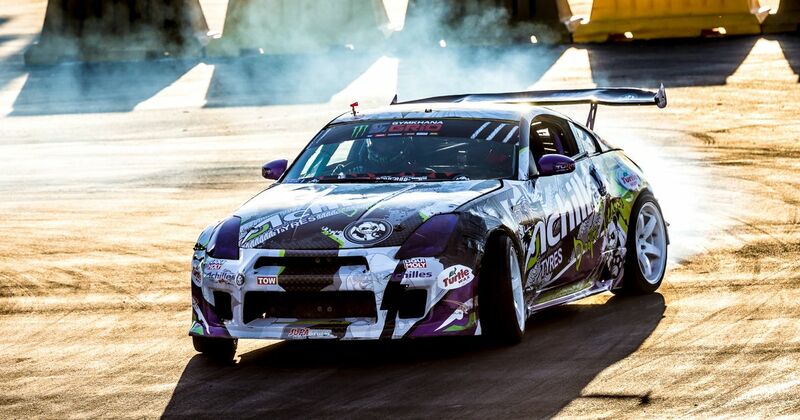 What’s more, the idea is that each competitor has to have built their car themselves, with precious few nagging rules to abide by other than safety. If the pics and footage from last year’s event are anything to go by, it’s quite the show. On a specially-designed track with awesome obstacles that have in the past included aeroplanes, a giant race seat and all sorts of things you’d rather not hit, reigning AWD class champion and World Rallycross ace Johan Kristoffersson will join the 2017 RWD class winner and pro drifter Luke Woodham in defending their titles against what we understand will be a stellar line-up of competitors. Set to kick off on 1 December, the day-and-night gig will be hosted at the same venue as the 2017 event: the Carnival City resort in Johannesburg, South Africa. The ‘elite grid’ of drivers hasn’t been confirmed yet, but this will be the seventh time the event has run and there are usually plenty of big names. Necessary manoeuvres in past races have included reversals, 180- and 360-degree spins, precision parking and more. The drivers who complete the course fastest and with the fewest mistakes win, with the eventual champions in the two classes taking-on Block and a specially-selected RWD class star.